Originally posted HERE by F. Kathleen Foley. ‘Love Is Another Country’ at VS. The essentials: Gonee (Dee Dee Stephens), a highly educated African American woman, is driven to the edge of sanity by the death of her brother, left lying on the ground for hours by the police who apparently killed him. When Gonee shoots a policeman in a maddened rage, she is imprisoned with no hope of release. 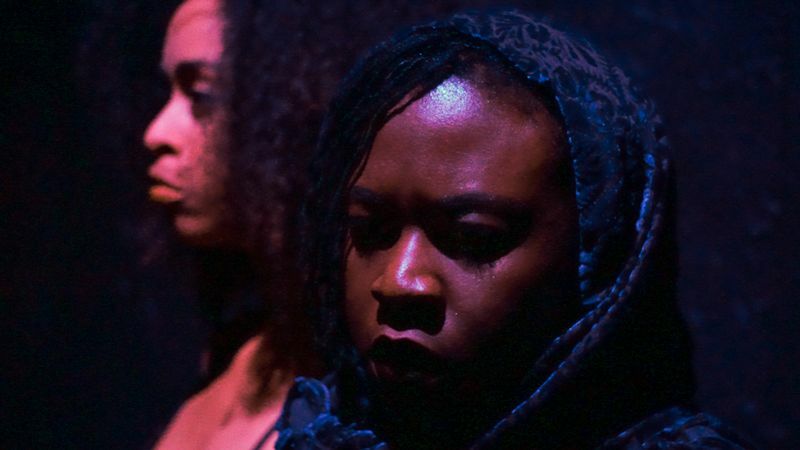 Visitors during her confinement include her deceased great-grandmother Ethel May (Tyree Marshall) and her sister Nene (Celia Mandela Rivera), incorporeal presences whose conversations with Gonee contribute to the hallucinatory atmosphere.